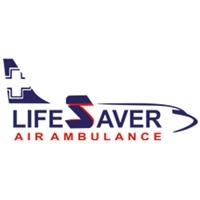 24 Jan. 19, Patna- Lifesaver Air Ambulance is proud to share good news to everyone that we have successfully transferred a critical patient by our Air Ambulance in Patna. Though we evacuate many patients from different locations on daily basis this case was a different one as the patient was infected by deadly H1N1 virus also referred to as Swine Flu. This is an infectious disease and hence require lots of precaution while transferring critical patients suffering from the impact of this virus. Any discrepancy may lead to outburst spread of the virus to the crew members and medic team onboard Air Ambulance. Thanks to the IDM, Infectious Disease Module we possess that helped us evacuate this patient in a separate and safe environment. Some of you may not be aware of IDM and hence my question about its utility and use. Actually, this is a module specifically designed for patients infected from different types of infectious diseases such as Bird Flu, Ebola, HIV post operated and others. It was the first week of January when we received a distress call from a reputed hospital in Patna. The person was seeking an immediate IDM enabled Air Ambulance in Patna. Without any delay, we took the challenging task of evacuating the patient. We are quite confident as we already had an Air Ambulance equipped with IDM and specially trained professionals for such a situation. The ground team was rushed to the location and within few minutes our control and command center received the patient health report. Brisk arrangements were made in few hours and an Air Ambulance in Patna was waiting for the patient on Jay Prakash Narayan Airport. With bed, to bed transfer, the patient was successfully transferred to the destination hospital where he is still getting treatments and is recovering fast. These types of incidents give us courage and motivation to further enhance our services and make it better than the best. If you need an Air Ambulance in Delhi then call us now and within a few hours, an impeccable Air Ambulance would be available to evacuate your patient to a better health care center.